Just as we saw Xbox and PS2 games getting a mild graphical bump up before being ported to the Xbox 360, so we seem to have a run of similar titles getting ported over to the recently released Wii U. Whilst more recently released titles like Assassin’s Creed 3 and Call of Duty: Black Ops 2 are among the list of ported titles, 2011’s Batman: Arkham City is also strangely present. The port is a mixed bag as, whilst the game remains as excellent as it did last year, the lack of major improvements prevents the Wii U version’s increased price tag from being truly worth it. 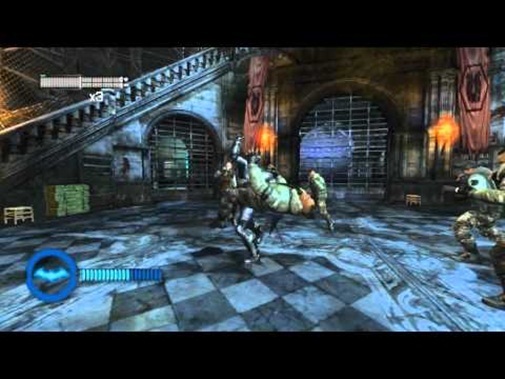 Released back in November 2011, Arkham City was the follow up to Rocksteady’s awesome Batman: Arkham Asylum, with the story following directly on after Joker’s attempt to seize Arkham Asylum with the help of the experimental titan drug. Now on a downward spiral from the side effects, the Joker is back causing trouble in the recently established Arkham City; a huge prison complex built around the more corrupt areas of Gotham. Things aren’t as they seem though, and Batman must find out why Hugo Strange has built Arkham City, and what exactly protocol ten is. It’s a decent story, one that manages to cram in an all star cast of DC’s finest heros and villains without ever seeming forced. There are a few decent twists and turns, but nothing you won’t have seen before if you played Arkham City before on another system. That seems to be a recurrent theme in the Armoured Edition of Arkham City. Whilst it remains a decent game a year on, the improvements made for its Wii U transition are minimal at best. The most immediately obvious upgrade is the BATS mode, a combat ability where, after filling up an arbitrary bar through getting a decent combo streak, you can unleash a mode where you are faster and more powerful for a limited time. It’s definition gimmick, and the power increase you gain is negligible. Even stranger is how Catwoman’s sections also see her able to enter the same mode, despite the explanation being that BATS mode is activated through Batman’s prototype suit. Curiouser and curiouser. 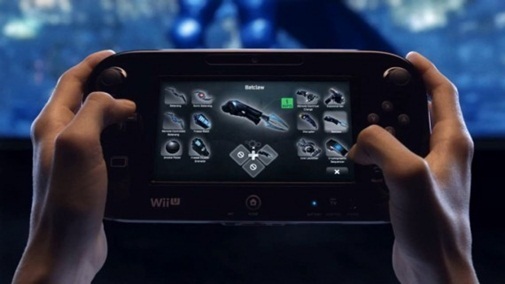 A more significant upgrade is the game’s interface, now able to shove maps, upgrades and equipment options onto the Wii U Gamepad’s touch screen. It feels much more intuitive being able to scroll through your gadgets by touch, and setting custom checkpoints and analysing your maps are made fundamentally easier by the new format. The Waynetech upgrades are also done through touch screen menus and, whilst it works well, the layout of the menu isn’t the most intuitive of game design choices. Things get a bit more ropey when it comes to the touch and motion controls that have been implemented. A lot of the gadgets can be aimed by tilting and twisting the Gamepad, but it is ultimately easier just to use the analogue sticks, especially when it comes to remote controlled batarangs. You can also use the Gamepad tilt control method to scan for evidence at crime scenes, a control method that, whilst well implemented and perfectly usable, remains a mere gimmick in comparison to the traditional control scheme on offer. 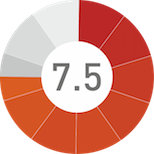 Aside from these somewhat superfluous additions, the gameplay of the Armoured Edition retains total parity with the Xbox 360, PS3 and PC versions of the game. This is definitely a good thing. The graphical alterations made between the different versions are another matter though. The capped thirty frames a second of the Unreal Engine are no longer present on the Wii U but, whilst this can lead to smoother frame rates, it means that the all important FPS count often dips below the usual thirty. It’s not often that this does happen, but it does occur when you get a lot of characters/enemies on screen at any one time. Anti-aliasing is also in for the Wii U version, but its smoothing qualities induce a bit of blur that somewhat detracts from the crisp art in Rocksteady’s comic book masterpiece. What’s very impressive visually is how well the game performs on the Gamepad. The Armoured Edition of Arkham City allows you to play the game entirely through the Gamepad for those times when you need to free up your TV. 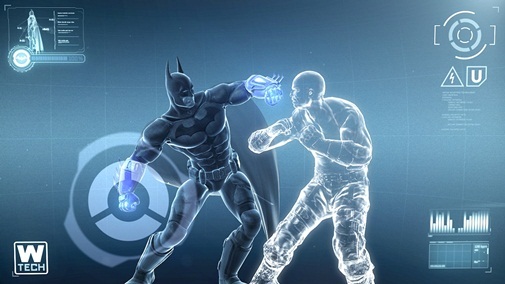 Testing Arkham City was the first time I got to see this in action, and it is a mighty impressive feature. The 720p signal is beamed to the Gamepad without any noticeable latency and, though it is downscaled in resolution to fit the smaller screen, it still looks absolutely incredible. It also plays much better than you’d expect, with the finer details of the game still perfectly visible on the smaller screen. The best bits of Arkham City remain in the Armoured Edition and, whilst I wouldn’t describe it as the ultimate or most refined version of the game, it’s definitely a solid action game for the Wii U’s library. The problem is with the timing. Other versions of Arkham City came out so long ago that they are worth little more than £10 now so, even with the DLC included, the massive £45 price point of Arkham City: Armoured Edition is pretty steep. If you haven’t got any of the other consoles, Arkham City is a great game that deserves a place in your collection, but those with other systems are better off getting a cheaper version on 360, PS3 or PC. This game was reviewed on the Wii U.